Although you may not be able to completely eliminate the risk of developing cancer, there are many cancer types that are preventable through proper lifestyle choices. The first one is to exercise and maintain an active lifestyle. This can help prevent obesity, which has been linked to an increased risk for many types of cancers. But, the exact correlation is unknown. However, maintaining a healthy body weight is another recommended step. Eating a healthy diet is also tied in with these recommendations. Providing your body with all the correct nutrients keeps it functioning properly. Having the right balance of nutrients can help reduce stress on your body and boost healthy antioxidants which help prevent DNA mutations. Important lifestyle choices that can help prevent cancer are not smoking, drinking moderately, and using suitable sun protection. Not smoking is one of the most important ways to prevent oral, lung, and many other types of cancer. Tobacco contains known carcinogens that introduce dangerous mutations into your DNA. Smoking is an unnecessary risk to your health that is completely avoidable. Even hookah and electronic cigarettes can lead to cancer despite common misconceptions about their safety. The first step is to avoid beginning smoking in the first place, but if you are already addicted to tobacco products you should seek support for quitting. Even long-term smokers can reduce their risk for smoking-associated cancers by quitting permanently. Drinking alcohol in moderation is important because heavy drinking over a long period of time has been linked to liver, lung, breast, kidney, and colon cancers. Skin cancer is another increasingly common cancer that can largely be prevented. Sunscreen, UV blocking sunglasses, not using tanning beds, and limiting sun exposure are all factors that help prevent skin cancer. Finally, maintaining proper health care is important for preventing cancer. There are some cancers associated with different viral infections that can be prevented through vaccinations. Important vaccines are hepatitis B that can help prevent liver cancer, and the human papillomavirus (HPV) vaccine that can help prevent multiple types of cancer including cervical cancer. Additionally, regularly seeing a doctor can help catch cancer early before it spreads. The earlier the cancer is detected, the better is the prognosis. Also, conducting self-examinations of your skin, breasts, and testicles can help with early cancer detection. Even though one cannot completely eliminate one’s risk for developing cancers, there are many cancer types that are largely preventable through proper lifestyle choices. Miller, B. (2005). 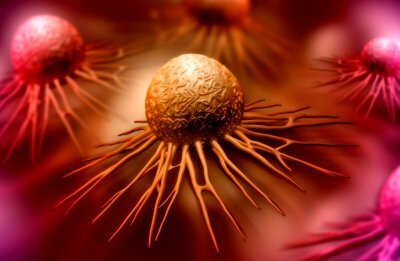 Cancer: We Can Win The War Against Cancer By Aggresively pursuing Prevention. Oak Publication Sdn Bhd. Lee, I. M. (2003). Physical activity and cancer prevention--data from epidemiologic studies. Medicine and Science in Sports and Exercise, 35(11), 1823-1827. Boyle, P., & Levin, B. (2008). World cancer report 2008. IARC Press, International Agency for Research on Cancer. Simone, C. B. (1992). Cancer and Nutrition: a ten-point plan to reduce your risk of getting cancer. Penguin. Franciosi, M., Lucisano, G., Lapice, E., Strippoli, G. F., Pellegrini, F., & Nicolucci, A. (2013). Metformin therapy and risk of cancer in patients with type 2 diabetes: systematic review. PloS one, 8(8), e71583.